One can find dozens of studies from the past few years, in which researchers synthesized new opioid compounds and tested them on monkeys (primates). This is a huge market. Aside from a patent on Speciofoline, US 20100209542 A1 is an application that was entered for University Of Massachusetts Medical School, University Of Mississippi in 2010. 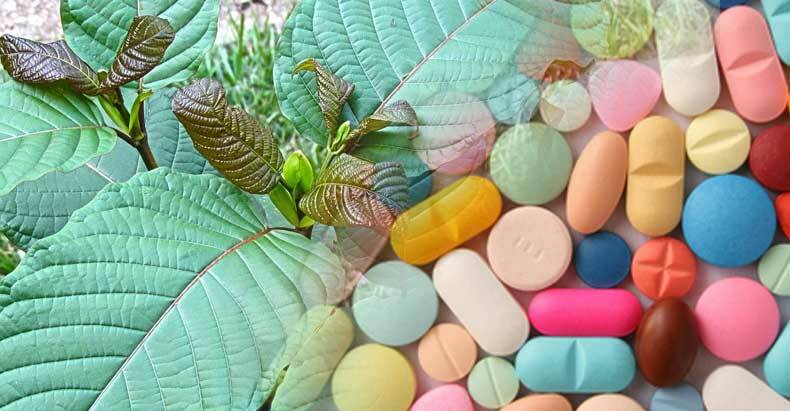 The application recognizes kratom as a treatment for opioid withdrawal. US 20100209542 A1 goes on to claim that kratom could be used to help withdrawals from other drugs as well. However, since kratom can be grown in your backyard, pharmaceutical companies can’t monopolize it — unless the government outlaws it. On September 30, kratom will be illegal, but the synthetic patented and monopolized version will not. While the mainstream media often acknowledges that these drug companies charge exorbitant prices for their medications, they conveniently leave out the reason they can do so is because they have the full support of Uncle Sam. Instead of looking at the corrupt government, who has the unique ability to create and sustain monopolies, the evil drugs and the market are blamed. How many more people will have to die of opioid overdose before Americans stand up to the DEA and refuse to obey their tyrannical and corrupt laws?